While the above photo was not the highlight of the day it was just too funny not to get a picture. 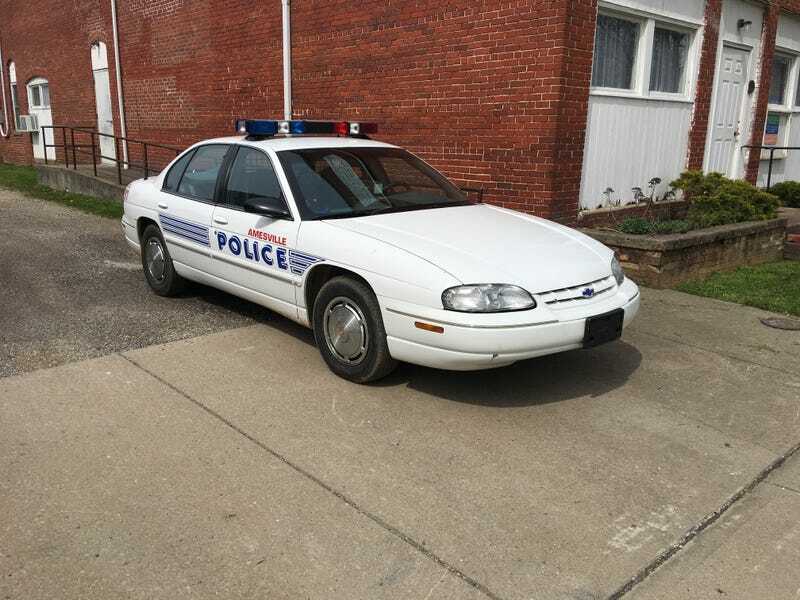 Thats is the Amesville Ohio police cruiser. Amesville is a local town so small I didnt realize they even had a police department. To put it in perspective the town is so small that the Post office was shut down for not making enough money. A quick google check shows the population at 5000 which seems a high estimate ( I know its a census but still). Anyways I replaced the front pads on the Toyota this morning, still need to do the rear, changed the oil last night. Had to drive up to Columbus to the Apple Store to pickup an external hard drive that I need for a project I want to have done by the weekend. I am part of the way through following the Center for Internet Security Hardening guidelines for OS X and realized I don’t have any backup drive for my computer. I would use internet but quick calculations estimated approximately two weeks to back up the 118GB to the cloud. That was pretty interesting, I always have the best experiences at the Apple Store. Picked up a 1TB mobile drive for $60.00. Pretty good deal. Wandered around Easton mall for a bit. Went to a cool watch shop, a cool shaving shop, and a really cool mens clothing store called Filsons, just a lot of really nice, overpriced clothes. Aaaaaand, I went to a Tesla DEALERSHIP!!!!!!!! It was kinda exciting to actually sit in one. No Pictures because it was so crowded. Im not sure what people are talking about with lack of quality feel. Everything was very solid built, fine quality. Good fit and finish. The Gullwing doors on the Model X is cool, let me rephrase that. Everything about the Model X is cool. Probably the most futuristic looking car if ever scene. I could get used to the Tesla future. Thats all, good night oppo, been a long day.